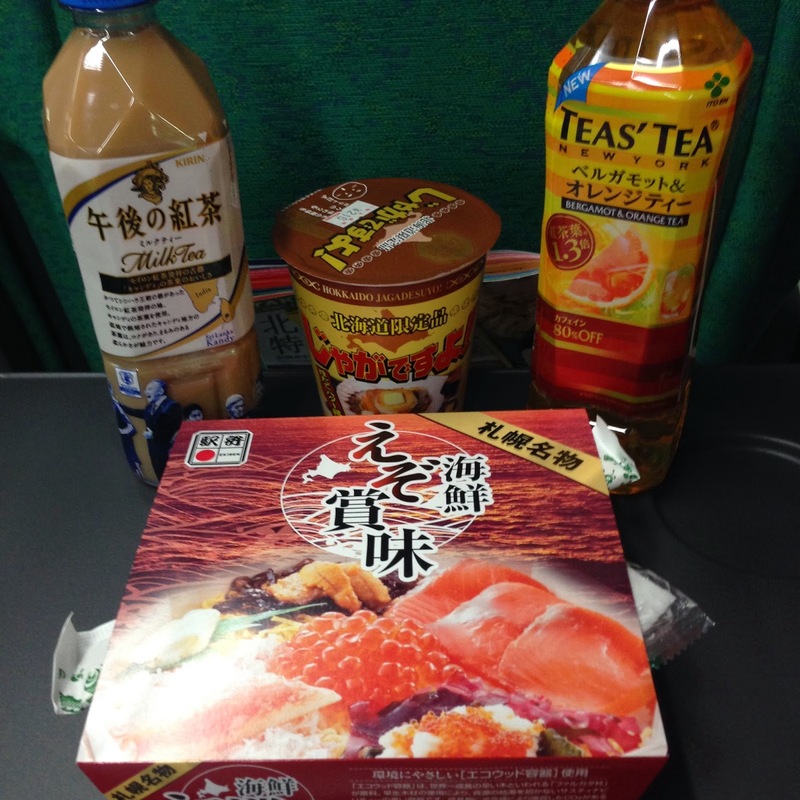 candidanimal: What did I eat in Wakkanai? 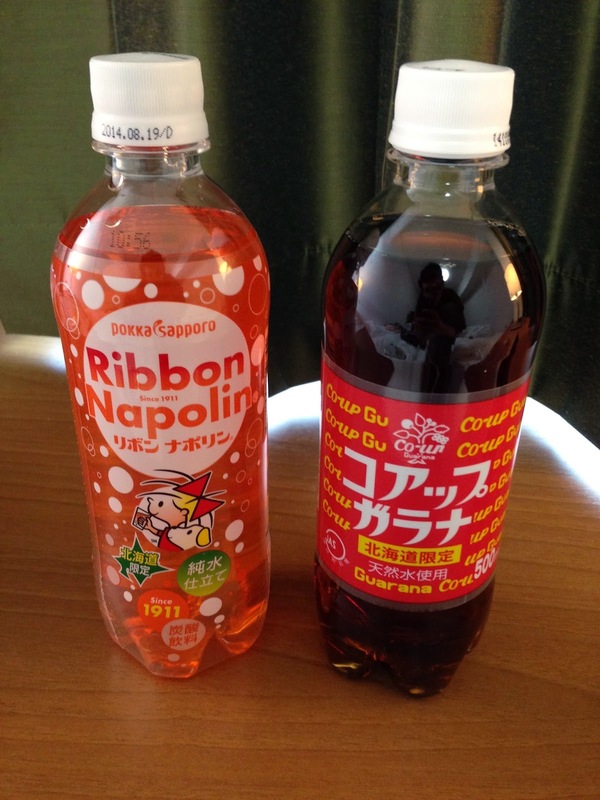 My journey to Wakkanai was an adventure in culinary delights. Unfortunately I was sick for half the time, an ailment unrelated to food, so I could not fully enjoy all that this great city has to offer. However, I will provide some samples of the great meals I had. On the train ride from Sapporo I ate my seafood bento which I purchased in Sapporo station just after 10:30. It was a kaisendon of crab and ikura, a local specialty, but the fish had been cooked in preparation for the long hours of no refrigeration on the train. This was one country where I would surely not experience food poisoning. 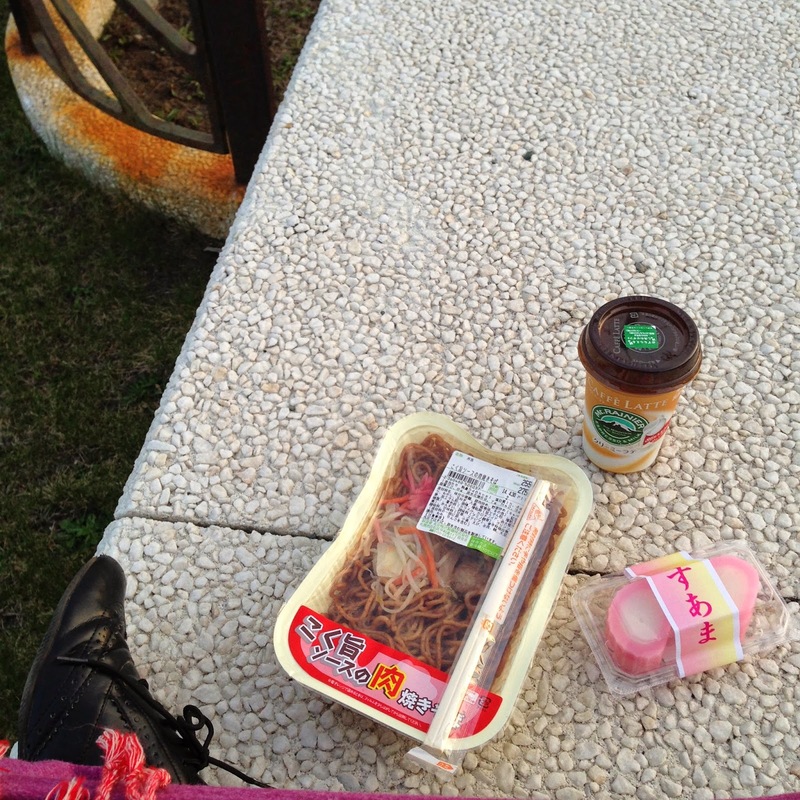 My first meal in Wakkanai was, unfortunately, from a convenience store. But at least it was a convenience store we don't have in my home prefecture of Shimane, and it was delicious! At the Seicmart I purchased yakisoba, a fried noodle dish with pork, which was surprisingly tasty, as well as a pink rice cake for dessert. 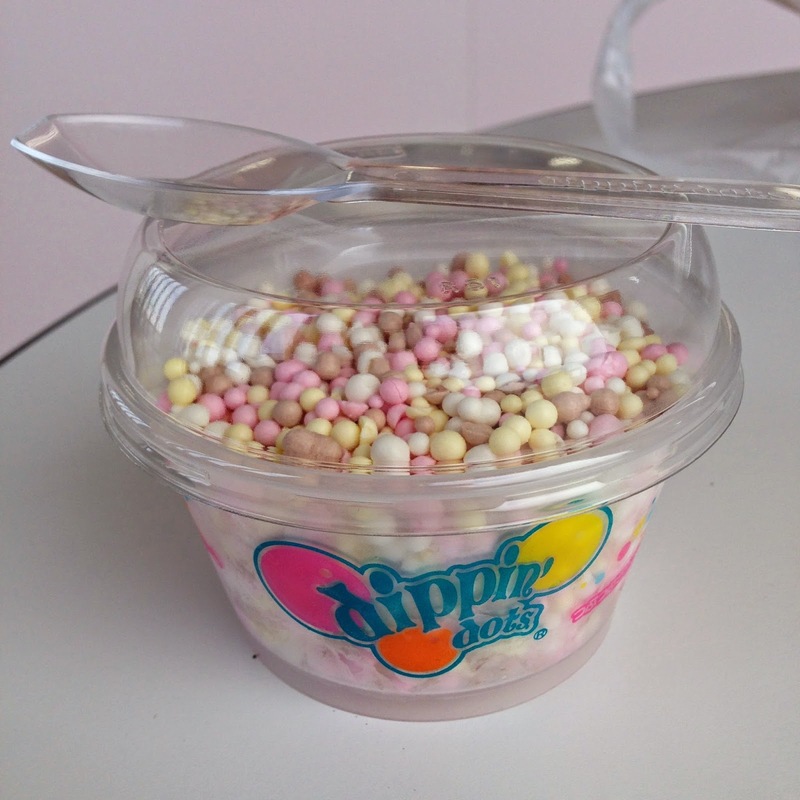 I ordered from a young girl at the counter and mentioned that it had been a long time since I saw DippinDots. She asked if I was from America, and when I answered yes, she went on to tell me about all the American dramas she watches online. Desperate Housewives, Prison Break, the list seemed to go on forever. I hadn’t watched a single one of them, but I nodded all the same. That girl had only ever been to the Philippines, a place I had never been. I ordered the house special, one of the most expensive meals with uni, ikura, kani, and hotate. All the regional specialties. I thought it was best to pay for one meal that had everything, than four separate meals of each dish. The set came with pickles, a commemorative sticker, and miso soup with tororo kobu, a kind of seaweed I had never eaten. It also included two insidious-looking shimp, which I hate. Because it would have been rude to leave the shrimp on my plate, and because I was somehow very concerned with seeming rude in the eyes of these two women, I ate the shrimp, shuddering as I peeled the shell and scooped out the eggs with my fingers. My favorite surprise was in the miso soup, something called Tororo Kombu, a kind of seaweed I had never tasted. Having about an hour to spare before the bus departed for Soya Misaki, I went on a mission to find Wakkanai milk. I would have never known about this specialty if it were not for a small article in a local tour guide. I do happen to like Japanese milk, and considering that I could only buy Wakkanai milk in Wakkanai, I decided that I had better try it before leaving. When looking in the station souvenir shop and Seicmart failed, I walked across the street to an inconspicuous local market. 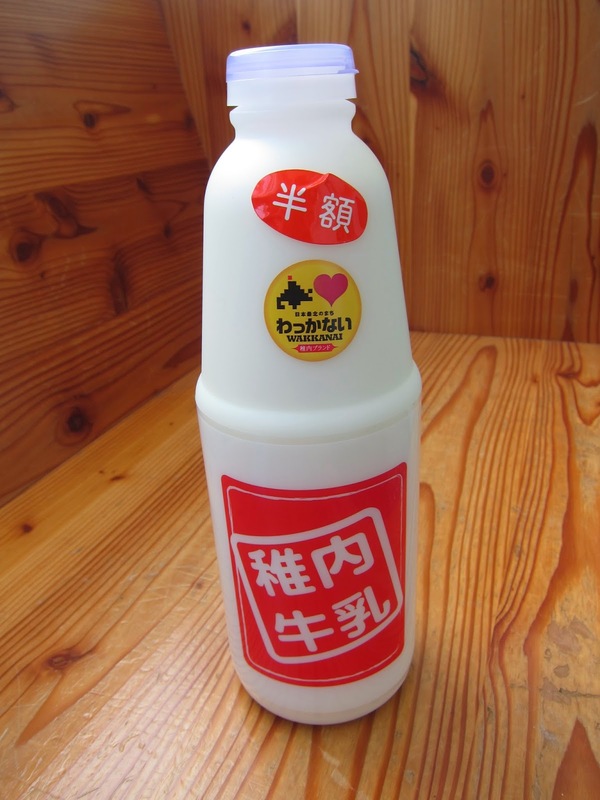 There I found only a liter-size of Wakkanai milk, which I happily purchased and at a discounted price. 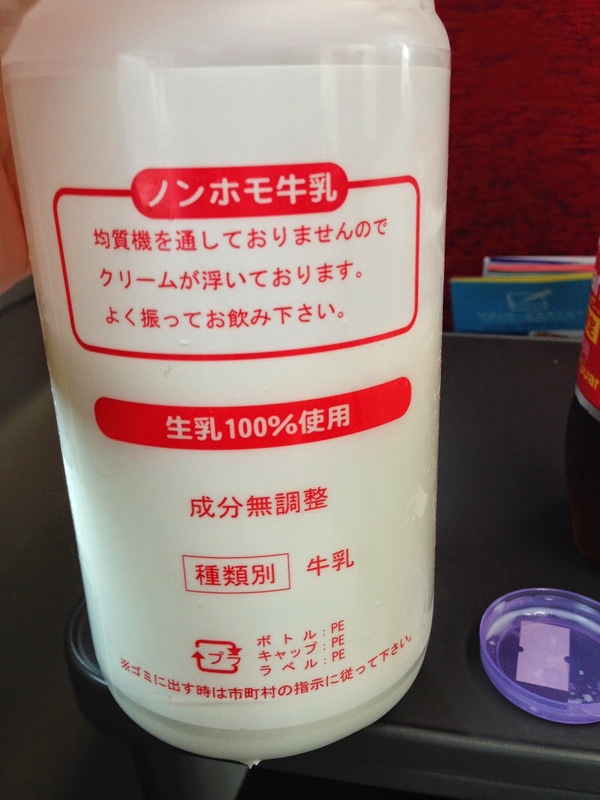 Wakkanai milk is 100% raw, and the inscription on the milk bottle (which I read only after taking a giant gulp) said that it may contain remnants of cream (milk fat). 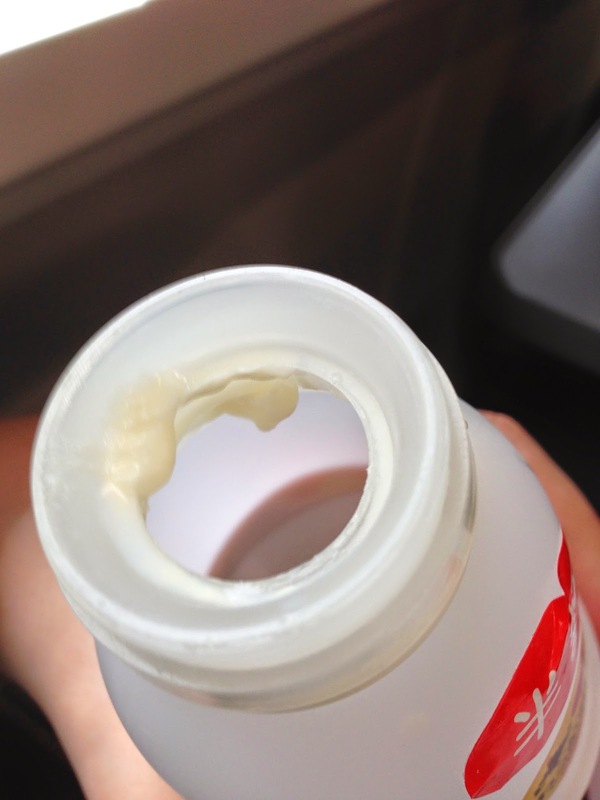 The texture was an incredibly thick, more akin to yogurt, but the taste was rich and creamy, thanks to all that fat. 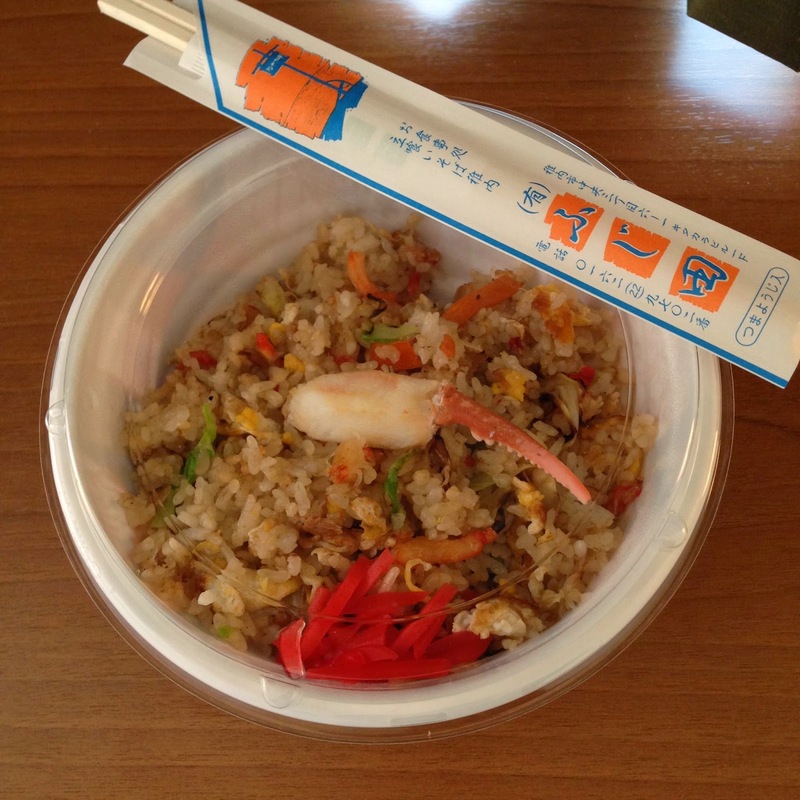 I had been ill since yesterday and my condition was waning, so I ordered take-out crab fried rice from a restaurant at Wakkanai station and ate it back in my hotel room. It was a savory meal with generous portions of crab meat, in addition to scrambled egg and green onion. 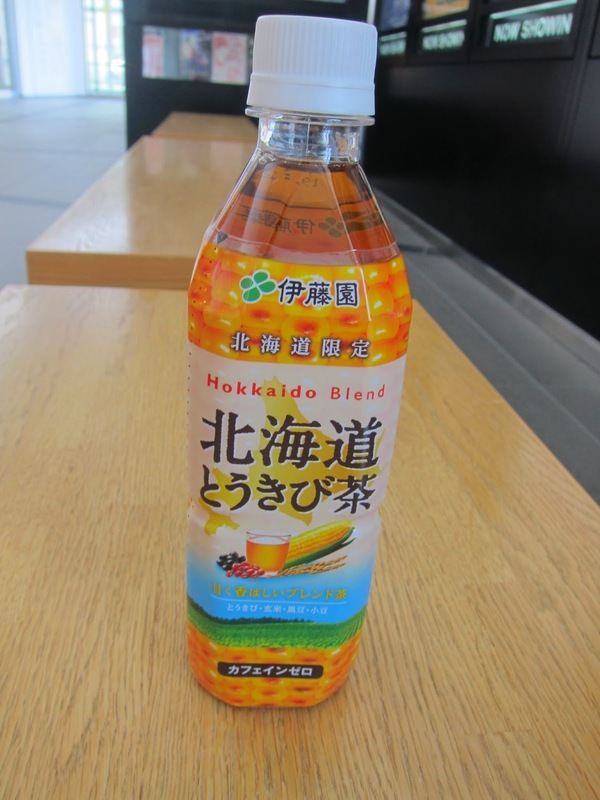 Thanks to the gift shop in Wakkanai station I was also able to enjoy Hokkaido's original beverages, such as corn tea, orange soda and Guarana. I was also excited to find cheese at the local Seicmart. 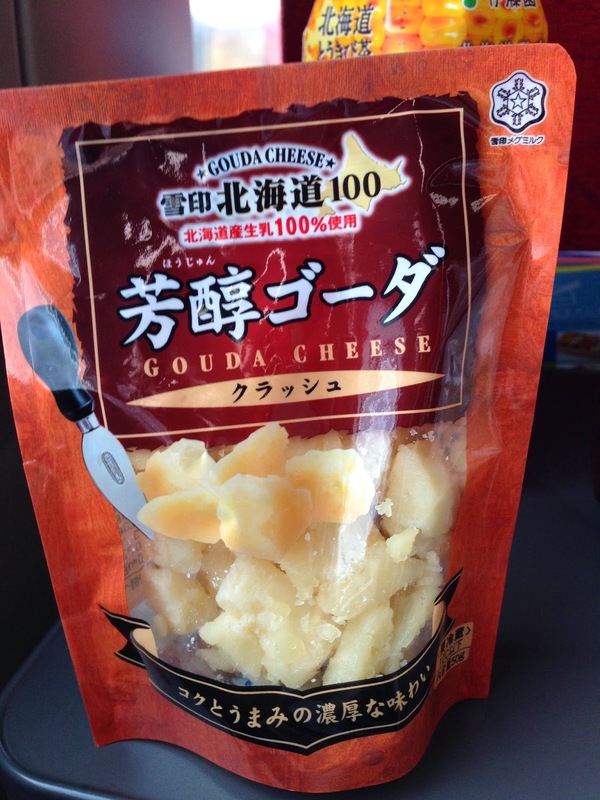 Cheese is a rarity in Japan, except in Hokkaido which is home to almost all of Japan's diary production. Both the cheddar and gouda cheeses were excellent! 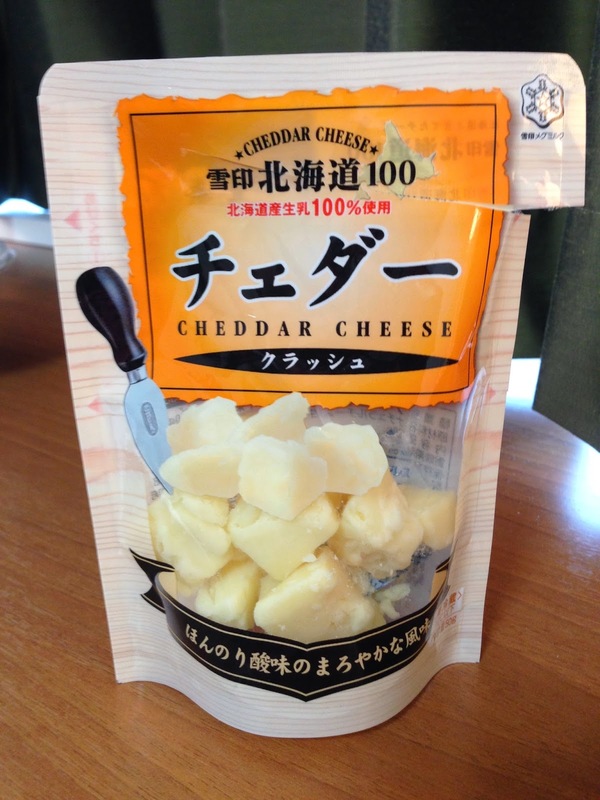 Labels: 2014, Food, Hokkaido, Hokkaido cheese, JAPAN, JAPAN Wakkanai, kaisendon, Wakkanai Milk, What Do I Eat?